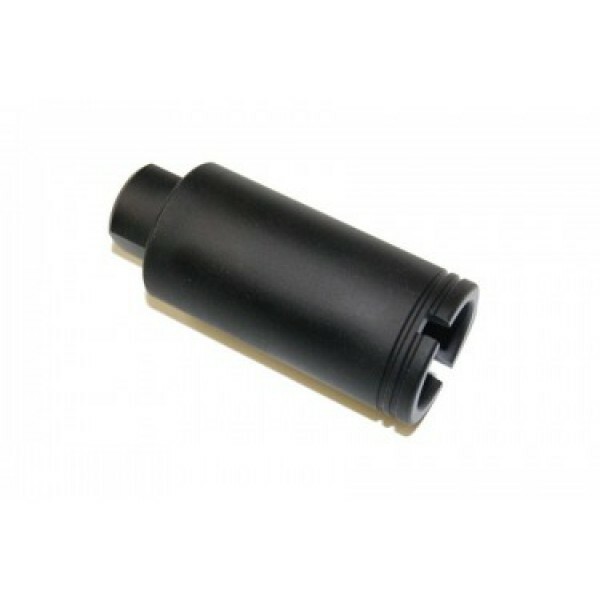 AR-15 5.56/.223 CONE FLASH CAN, Pressure Reducer 1/2x28 Pitch. Black oxide finish, solid precision machined construction. The AR muzzle brake will reduce recoil & climb which will improve shooting and control. 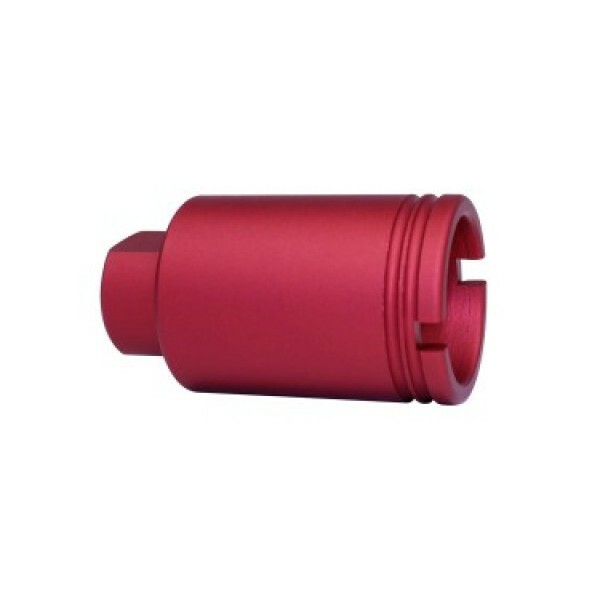 The AR cone flash can muzzle brake redirects propellant gasses and reduces recoil and flash dramatically. Wraps around your threaded barrel and threads on 1/2"x28 pitch. 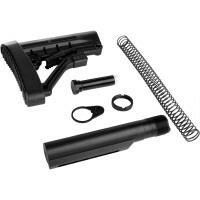 This muzzle brake is great for an AR pistols, SPR, and a SBR AR15.